Superstitions are something which is carried on for a long time now. It can be either due to some religious myths, or it can be some regional myth. Whatsoever be the reason, superstitions do exist! People refuse to lend milk after dark as it is believed that this reduces milk production in cattle. Drinking milk before going out of the house and spilling of milk is considered a bad omen which is commonly followed. There is a strong belief in Eastern India that looking at a fish before starting a project is auspicious. It’s okay to do this; after all, this isn’t causing any harm to us! People going on trips, traveling a long distance, or students appearing in exam or interviews taste curd and sugar before leaving home to bring in good luck. I personally eat it, because it refreshes my mood! Lemon and chili tied together are believed to ward off the evil eye. They are generally hung at the doors of houses and workplaces. Spilling of salt is considered a bad omen and is said to bring hard luck. Salt should always be dissolved in water before throwing away. Salt kept in small bowls in corners of the house is believed to absorb negativity. Carrying oil and pickles while traveling long distance is considered inauspicious. Ghee is considered sacred in Hinduism and a lamp or diya that burns in ghee is said to keep away negative energies. Holy basil is believed to be a purifier, and hence the offerings to Gods are purified with these leaves and the leaves are put in food and drinks during eclipses. It is also said that keeping tulsi at home keeps all the diseases at a distance. 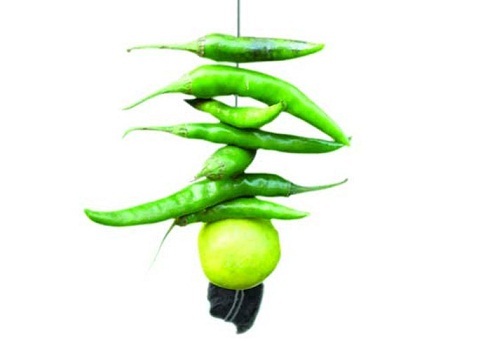 Chilies are used in removing ‘nazar’ or evil eye from the affected person. Many of us might not believe it, but it is a practice followed by several communities and religions and there is no harm following it! Keeping red chilies at home in the patient’s room also helps in taking away negative energy. 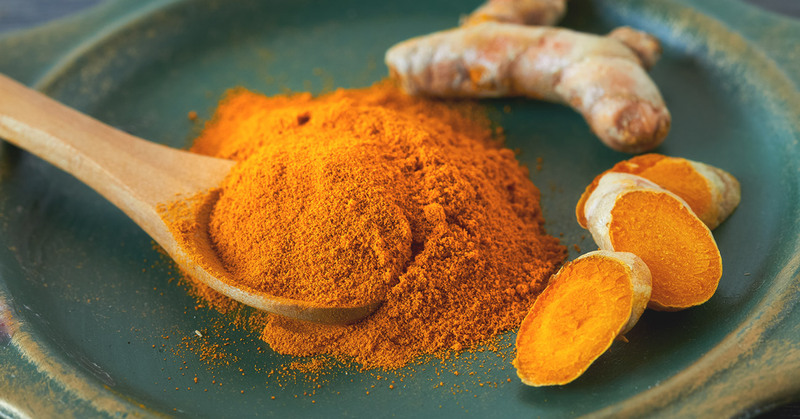 Turmeric is said to keep away negative energies; hence it is sprinkled around the house and is used in religious ceremonies. It is also tied in red cloth and kept at various corners of the house to protect it from the evil eye. This does work, it has helped me personally! Do you know some Indian Superstitions related to foods? Then do let us know in comments below!